Some people think that chalk based paint is only good for piano or kitchen cabinet facelifts, modernizing dining tables, or for big projects around the house. But we’ll show you today why that kind of thinking can inhibit creative powers! 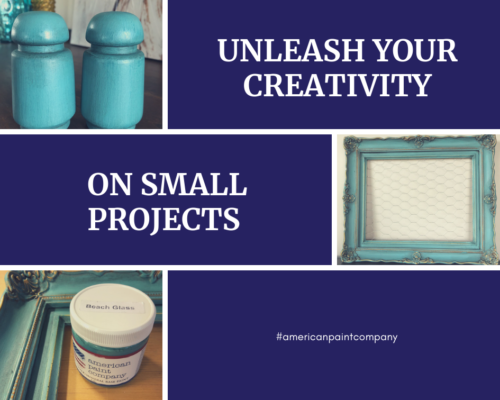 Unleash your creativity on small projects using American Paint Company products. 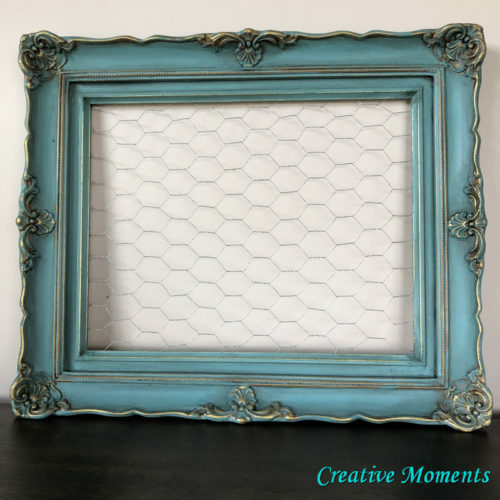 Some great small projects include picture frames, signs, mason jars, vases, shelves, wooden crates, trays and baskets. How about screen painting? 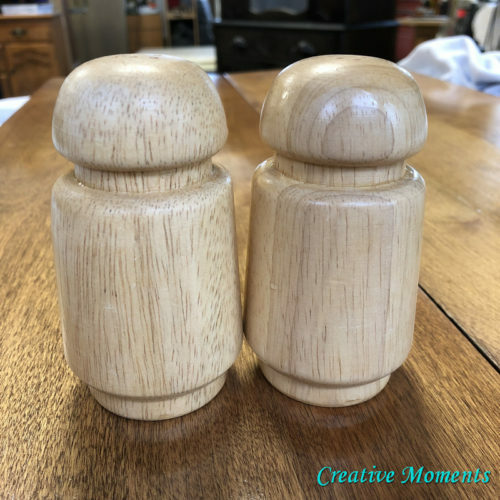 Or think outside the box and take after Lee Ann, who loves picking up wooden salt and pepper shakers from thrift stores and giving them a little pick-me-up. 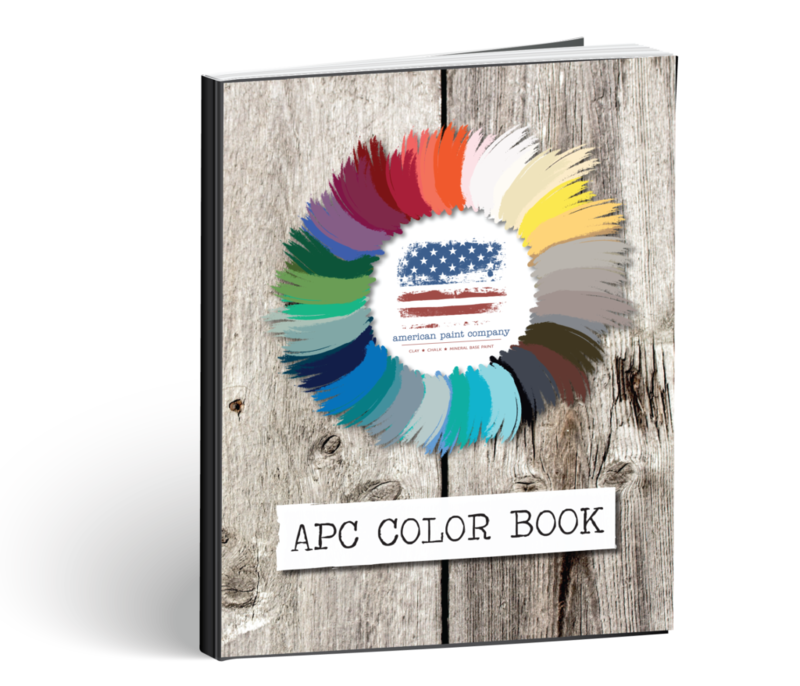 Lee Ann is the perfect example of someone who thinks outside the box when it comes to using APC paints. She also enjoys transforming lifeless picture frames into works of art and utility. 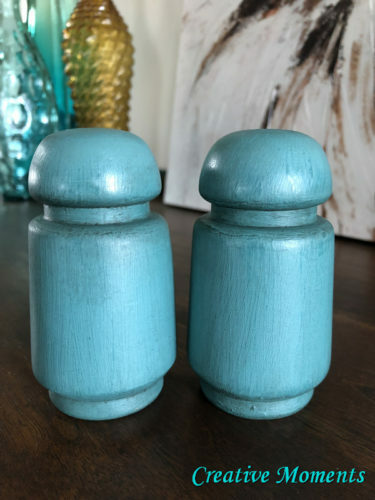 She used APC Clay, Chalk, Mineral Base Paint in Beach Glass, as it’s one of her favorites, but with our wide selection of colors and products, you can get really creative with the final look of your small project. Our paints dry incredibly fast! You can start and finish a project quite quickly. Layer colors and waxes for a unique look! They’re great practice! If you have a larger home project, painting a frame or sign can help you gain confidence and feel capable in painting something larger. You can paint indoors! 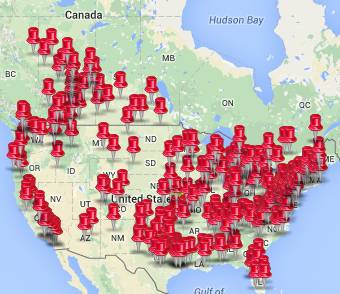 Our products are chemical free, so they won’t fill your home with hazardous fumes. 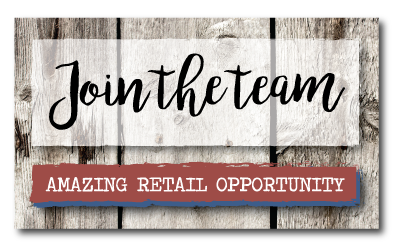 Many of our retailers carry DIY kits with signs, boxes, stools, and other small projects for you to get your crafting fix. What are you going to paint today? We want to showcase your projects of love. Use the Project Submission tool on our site today for a chance to win a $100 Gift Box!